Hey everyone, Tanya Watson here. I’m the CEO and co-founder of Squanch Games, a weirdo comedy game studio started by myself and the co-creator of Rick and Morty, Justin Roiland. Trover is a crazy comedy adventure in the vision of Justin, through and through. 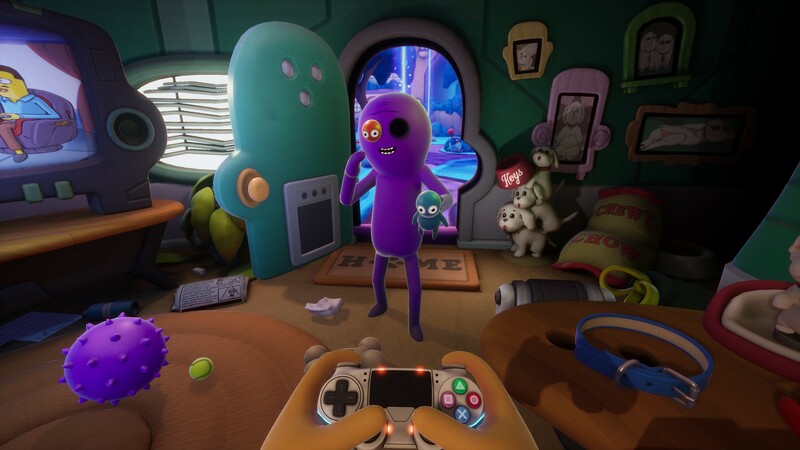 He started a game studio because he’s been a lifelong gamer, and when he had the opportunity to use a VR headset, it opened up his eyes as to how he could bring storytelling to video games. So, we built Squanch from the ground up to support his method of comedy and storytelling, and it’s been one helluva ride. 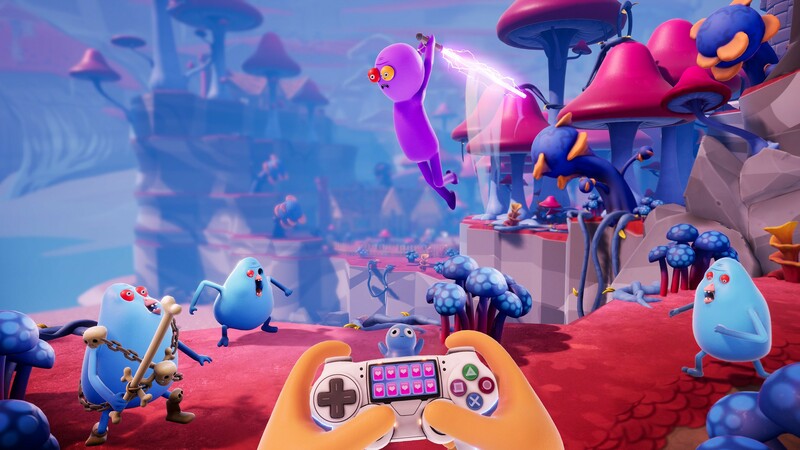 Trover Saves the Universe will debut exclusively on PlayStation 4 and PlayStation VR on May 31 with pre-orders open now at physical and digital retailers including PS Store where PS Plus members will get an extra 10% off. 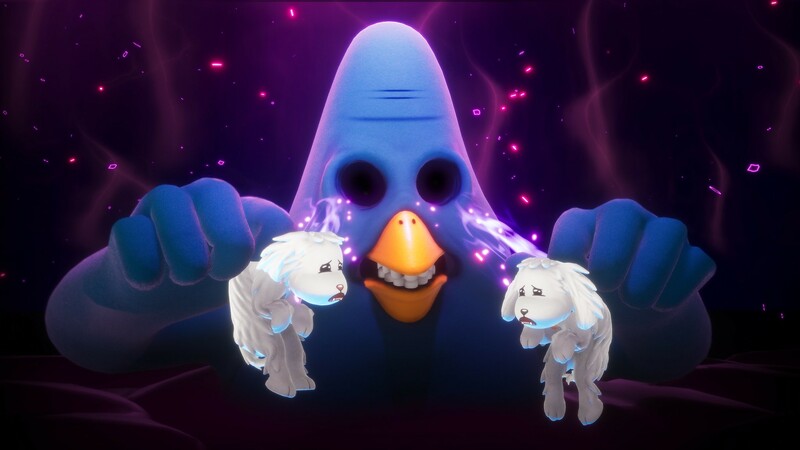 Trover Saves the Universe is a story about you — your dogs have been dognapped by a beaked lunatic named Glorkon who stuffed them into his eye holes. Your cute little pup pup boys give him insane power that will allow him to destroy the universe, unless you can stop him. You can even choose how to play — on TV or PlayStation VR. Many people have asked me what it’s been like to work with Justin, to create this studio, and make this bizarre adventure. There’s not nearly enough room to go over all of that here, but, I love being a part of making funny and unique games. If you want more insights into how we did it for this one, you should tune into our Comedy in Games panel at PAX East, hosted by Justin Roiland, on March 28 at 4:30pm ET. It’ll be in the Main Theater as well as streaming on twitch.tv. He’s going to be talking a lot more about how he’s brought his own perspective to comedy in video games, and will be asking a number of hilarious creators to chime in as well.